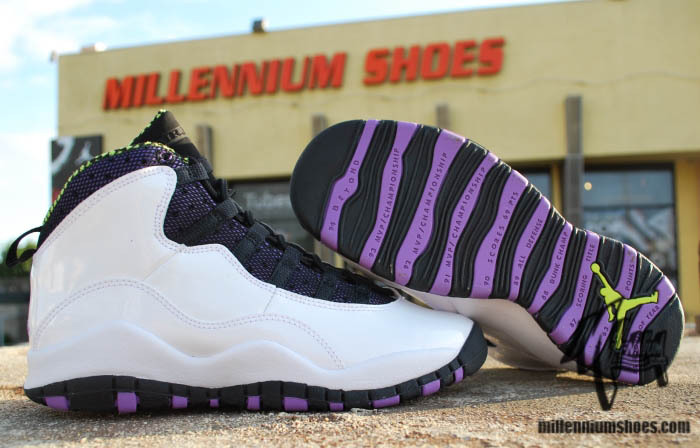 Joining the "Chicago" Air Jordan Retro 10 next week is this all-new colorway exclusively for the ladies. 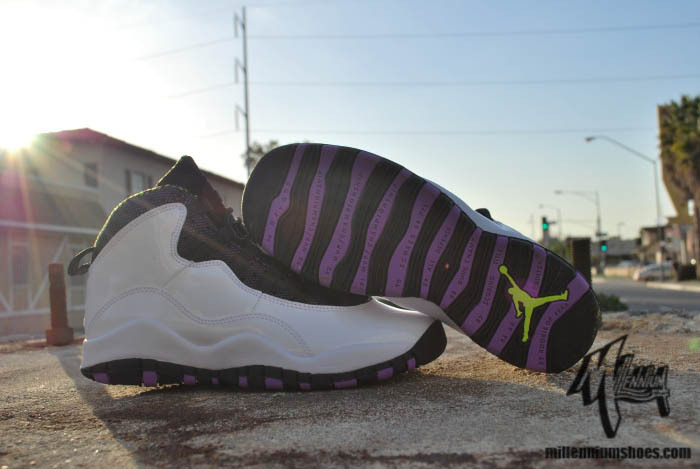 Joining the "Chicago" Air Jordan Retro 10 next week is this all-new colorway exclusively for the ladies. The white-based upper is treated to a healthy amount of patent leather, while black mesh lines the eyestay. 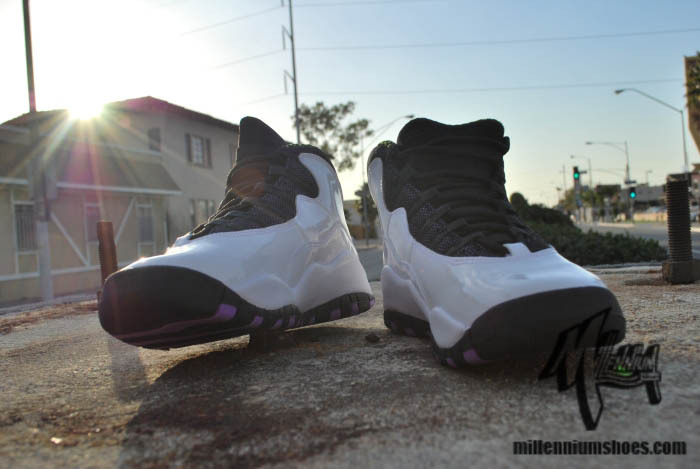 Black also works the tongue and pull-tab, while the interior sports a black and cyber checker print. 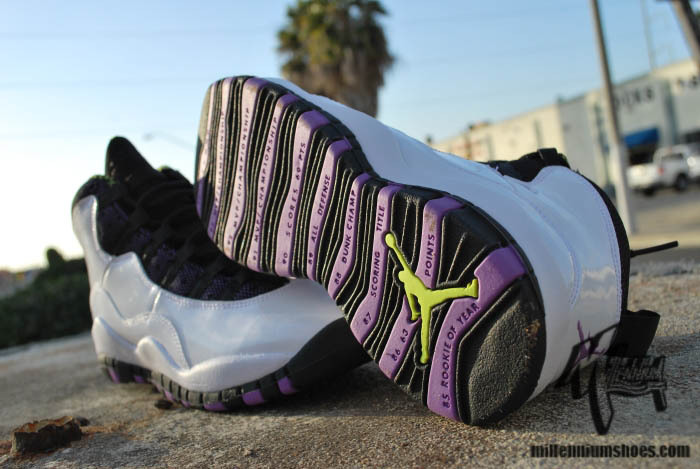 Violet Pop contributes to the look beneath the mesh layer on the eyestay and sections of the outsole, which also features a cyber Jumpman logo. 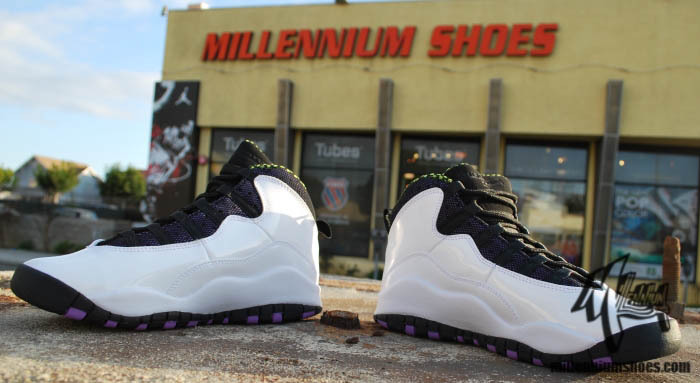 This GS Air Jordan Retro 10 will hit Jordan retailers this Saturday, January 21st.